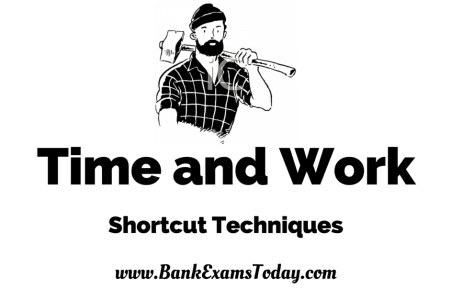 Today I am going to share techniques to solve Time and Work question. I have already shared a technique for this chapter here. Let us pick up a question to understand it . To answer we can apply two methods. 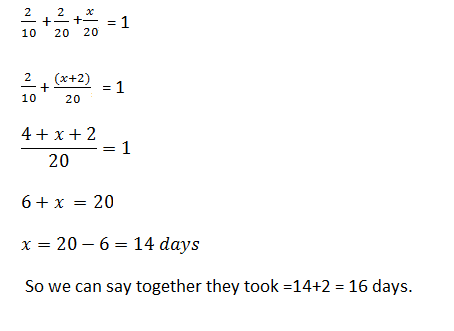 ⇒ Remember the LCM of 10 and 15 is 30.
questions asked and your comfort level. Question - A can do a piece of work in 10 days. A and B together take 6 days to complete the work. How long will B take to complete the work? ⇒ Now the LCM of 10 and 6 is 30 . The same concept could be applied in different questions of TIME AND WORK. 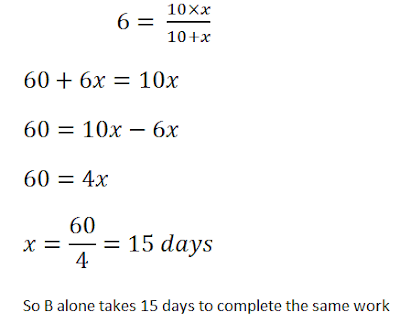 Question - A can do a work in 10 days . 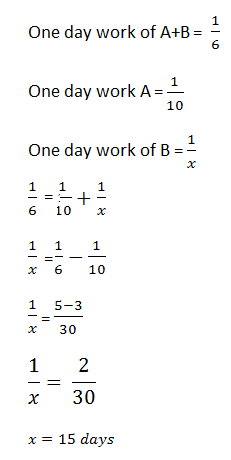 B can do the same work in 20 days . 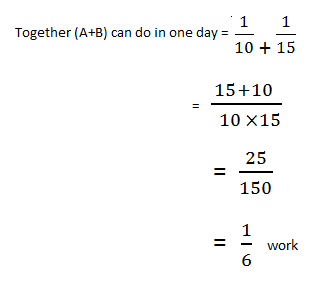 They both started together but after 2 days A left.The remaining work was done alone by B.How long A and B both took to complete the work?